Just in today was an email from here in the UK seeking chrome side mouldings and wheel trims for an Opel Kadett A series. 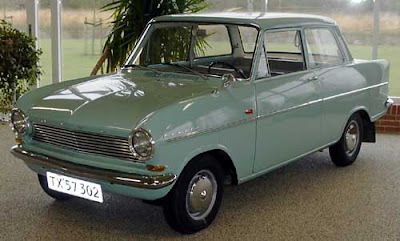 The Kadett A was produced from 1962 to 1965 and as far as I am aware wasn't sold in the UK. I recommend German eBay, it still yields parts now and then. Tip - "oldtimer" is the equivalent of "classic" and "ersatzteile" for "spare parts". The car in question has quite an interesting history, so if you can help out, please drop me a line.